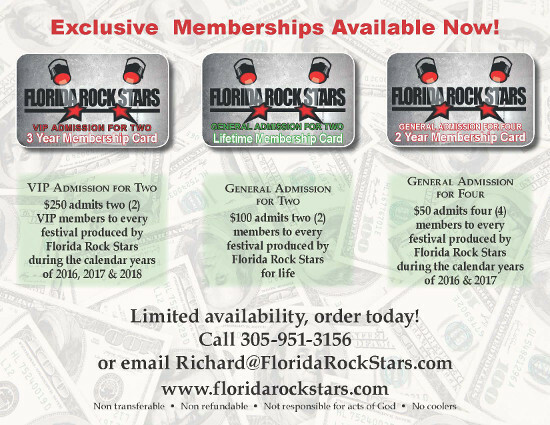 Exciting New Exclusive Florida Rock Stars Membership Cards! 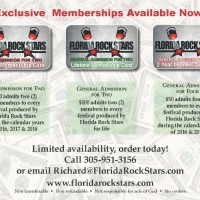 Florida Rock Stars is pleased to offer its loyal fans a very special deal – our new membership cards! These are LIMITED QUANTITY OFFERS. There are only 100 of each category available for sale. Purchase your membership card by using our Pay Online feature – simply type in description of item being purchased and then type in the dollar amount to make your payment. We will contact you directly to arrange shipping. 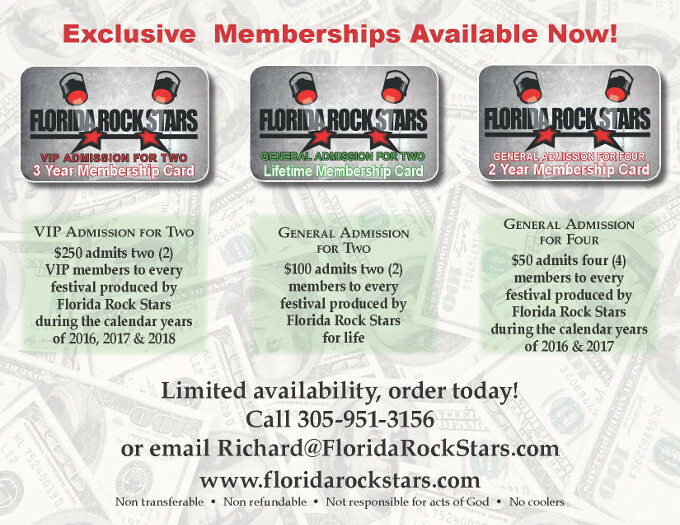 CLICK HERE TO PURCHASE YOUR FLORIDA ROCK STARS MEMBERSHIP!